PRICE – Utah State Eastern Women’s Basketball Head Coach Chelsey Warburton recently announced the signing of Noah Harris to her 2018 class. Harris comes to USU Eastern from Calgary, Alberta, Canada where she prepped at Saint Mary’s High School. “Noah brings a contagious energy for the game. With her length, quickness and desire to defend, she will be a great asset to our team,” said Warburton. 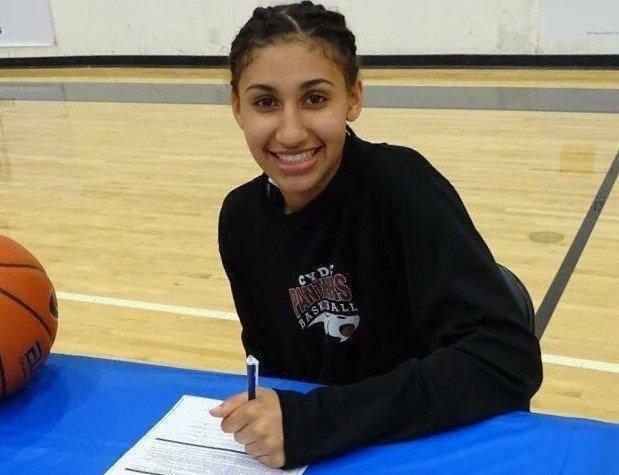 Harris is the third international signing of Warburton’s recruiting class, joining forward Brianna Ritchie from Australia and point guard Lamija Coric from Sweden. She is the ninth signee for Warburton in this recruiting cycle and will be arriving on campus next month in preparations for the 2018-19 season. The 2017-18 USU Eastern Women’s Basketball team finished the season 18-13 with a loss in the Region XVIII Tournament semifinals. Information, roster and schedule for the 2018-19 season will be released in the next few months. The season will kick off in early November with workouts beginning in September as school starts.